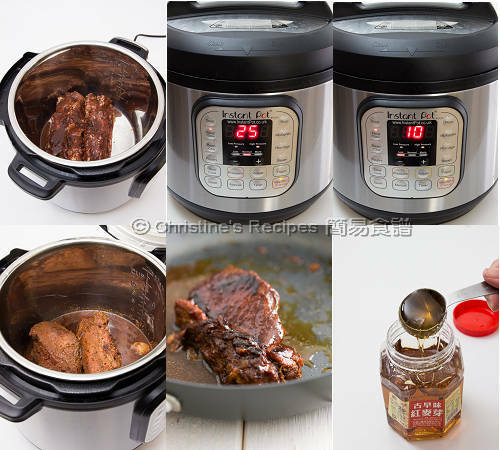 For example, can I use your old DIY 焗蜜餞叉燒 receipt and put it in the instant pot instead of the oven? Sure, you can use the DIY 焗蜜餞叉燒 recipe instead. The cha siu sauce is comparatively high in sugar and thicker. 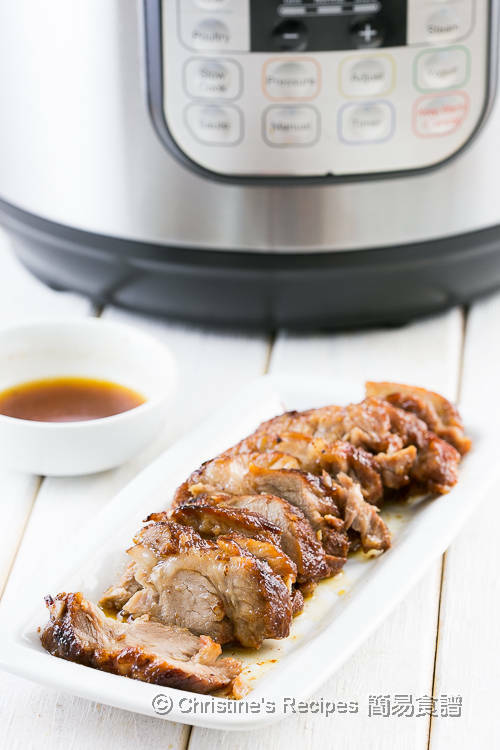 Add some water if using your instant pot. Can I skip the red yeast sauce or replace it with something more natural ? 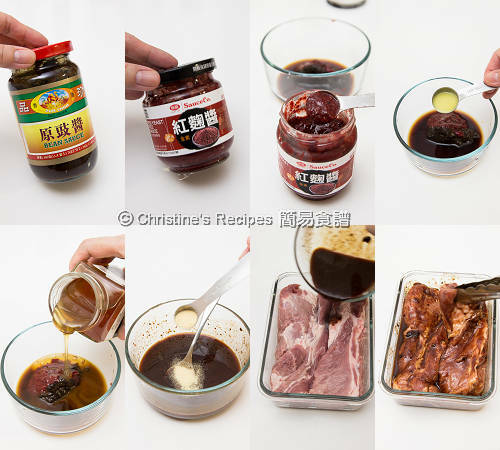 The red yeast sauce is quite natural as it's a fermented food. It gives a vibrant red colour. You can skip it though. Can I use pork loin, would it be too dry? Thanks. Can I layer the boneless pork belly in criss cross pattern if I am cooking about 6 strips of meat all at once? 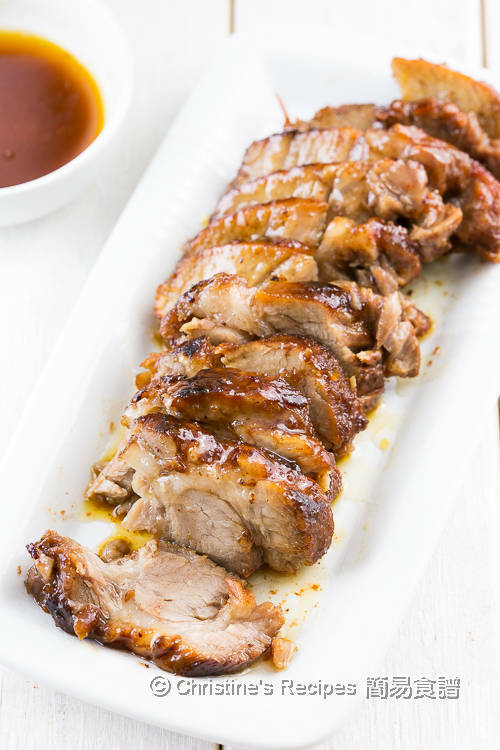 Also can I broil the cooked char-siu in the oven instead of pan fry at the end to achieve the browning? For the method of how to place the pork belly, I haven't tried it. 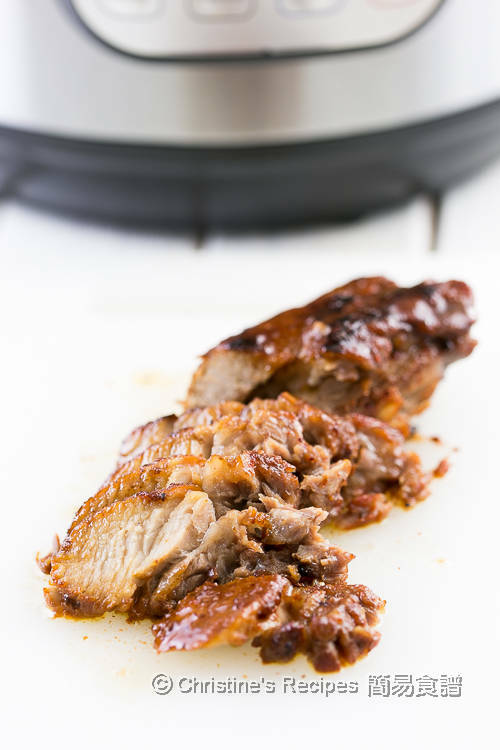 Yeah, you can broil the cooked char-siu in an oven. No problem.